An estimated 400,000 Americans suffer from multiple sclerosis (MS). The condition is considered the most common neurological disease in young adults and affects women more frequently than men. Multiple sclerosis is a chronic, neurodegenerative disease involving the central nervous system. Although there is no cure for MS, there are treatments that can help to slow the progression of the disease, reduce symptom flare-ups and minimize functional losses associated with this otherwise debilitating disease. Traditionally MS has been treated with medications and physical therapy, however, more and more patients are turning to chiropractic care for help. Some surveys have suggested that between 25-54% of MS have seen a chiropractor, making it a popular choice for managing MS symptoms. MS is an autoimmune disease, which means the immune system is attacking the body itself. In the case of MS, immune cells attack the nervous system, which is comprised of the brain, the spinal cord, and peripheral nerves. The central nervous system (CNS), composed of the brain and spinal cord, is responsible for every bodily function from walking and breathing to sensory perceptions and heart rate. The peripheral nervous system (PNS) forms a direct line of communication between the CNS and the rest of the body. Each nerve is coated in a fatty, protective substance called myelin. The myelin sheath provides an important layer of insulation which helps in nerve signal transmission. In patients with MS, the body's immune cells begin to eat away at the myelin in a process known as demyelination. This disrupts the transmission of nerve impulses and impedes proper communication between the brain and the rest of the body. Damage to the nervous system can lead to a wide range of symptoms depending on the location and the extent of demyelination. This is one reason why no case of MS is the same, and the symptoms in patients with MS vary largely from one patient to another. As the nervous system is progressively attacked by the immune system the symptoms of MS typically worsen over time. The majority of MS patients have what is characterized as "relapsing remitting" MS, in which flare-ups of pain occur followed by periods of remissions or plateaus in pain. 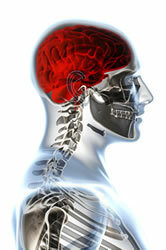 How Can Chiropractic Help with Multiple Sclerosis? Although chiropractors cannot cure MS, they can help to greatly relieve many of the symptoms associated with MS including numbness, tingling, clumsiness, fatigue, weakness, back pain, neck pain, and joint stiffness. Clinical case studies have shown how chiropractic, as a complementary form of healthcare, can help to decrease lower back pain and neck problems in patients with MS. Functional improvement and recovery are also very common for patients who have chiropractic care. By reducing pressure on peripheral nerves chiropractic can help to restore and improve the transmission of nerve signals. As these signals are transmitted better, a patient's bodily functions are restored and normalized. How much longer will you allow MS to prevent you or a loved one from participating fully in life's activities? Dr. Dahlager is experienced in treating patients with MS and he offers safe, affordable and effective care to support MS patients in Noblesville, IN; Westfield, IN; Fishers, IN; Carmel, IN; Arcadia, IN; Atlanta, IN; Cicero, IN; Sheridan, IN and surrounding Hamilton County. He'll work with you and your other healthcare providers to create a treatment plan that helps get you back in the game. Reclaim your life. Call to schedule your appointment with Dr. Dahlager at Noblesville Family Chiropractic today. Southerst D, et al. Pain and pain-related disability in patients with multiple sclerosis: A case series of two patients treated with chiropractic management. Clinical Chiropractic 2012; 15: 169-175. Dougherty P and Lawrence D. Chiropractic management of musculoskeletal pain in the multiple sclerosis patient. Clinical Chiropractic 2005; 8(2):57-65. MS Prevalence-National MS Society. http://www.nationalmssociety.org/about-the-society/ms-prevalence/index.aspx. Accessed October 8, 2013. MS: Hope Through Research. 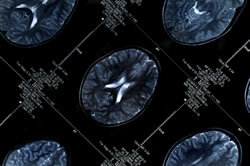 National Institute of Neurological Disorders and Stroke (NINDS).http://www.ninds.nih.gov/disorders/multiple_sclerosis/detail_multiple_sclerosis.htm. Accessed October 8, 2013.